If it’s true that in the spring a young man’s fancy turns to love, then here in the Pacific Northwest it surely must follow that in the fall a cook’s fancy turns to mushrooms. Yes, once again, it is fall mushroom hunting season and thanks to a rainy September foragers are gleefully gearing up for a sumptuous bumper crop of boletes, chanterelles, matsutake, and even fabulous truffles. With such heady anticipation I’m feeling like an athlete in preparation for her next main event. No question, I’m in mushroom training, and I need to get my practice in before unnecessarily risking it on those coveted delicacies. 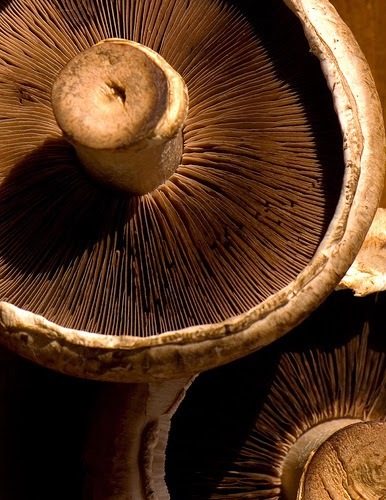 High mushroom alert kicked in while at my local market when I found myself immobilized with gaze locked, in front of the Portobello display. They always have a great supply of fresh mushrooms, so this was nothing new. In a shopper nanosecond I experienced an epiphany; I visualized these beauties oddly transformed into chewy, pepper-dusted ribbons of mushroom jerky. Now that’s bizarre, because I certainly like beef and venison jerky, but I’d never contemplated mushroom jerky. My course was instantly clear: I picked out the most perfect Portobellos and placed them in my cart. I was ready for a serious mushroom challenge. Of major concern: issues of dirt, foreign matter, and potential critters dangerously lurking within the gills, a possible health risk in the dried product. After a thorough cleaning with a soft brush and paper towels, I marinated the thin slices in a flavorful soy based solution with enough salt to act as a preservative for approximately four hours. The mushrooms were then fully cooked on the stovetop until devoid of pan liquids and the pieces were slightly caramelized. 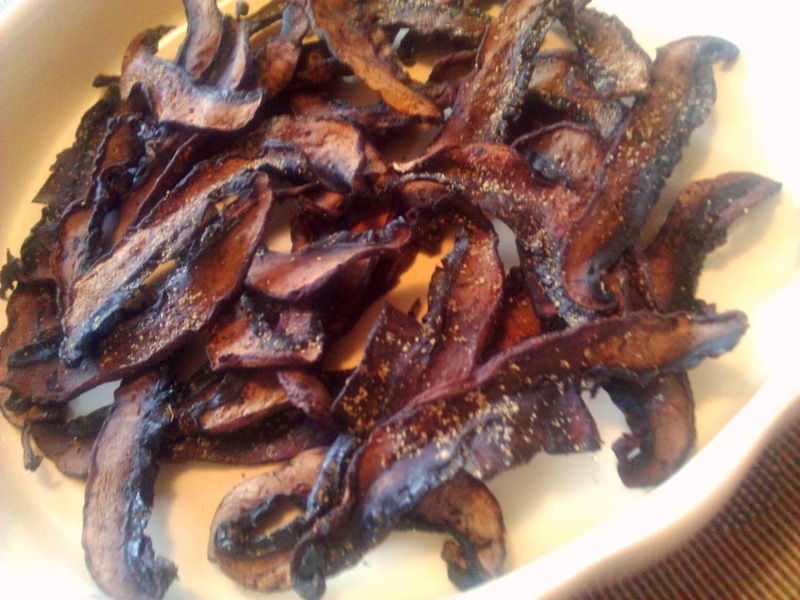 The size and meatiness of the Portobellos proved to be an asset in creating manageable and appealing jerky. I set the slices on trays and stacked them in a food dehydrator for about 3-1/2 hours, until chewy and dry, but not brittle. Final results: a rich, elegant snack and a first-rate garnish for rainy day soup. 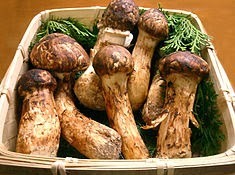 Wipe the mushrooms well and slice them into thin strips; carefully layer in a zip lock bag. Combine the marinade ingredients and pour it over the mushrooms. Allow them to marinate 3 to 4 hours, turning occasionally to moisten and coat all strips. Drain the mushrooms and place them in flat in a non-stick sauté pan over medium heat. Gently cook over medium to low heat until cooked thoroughly, 20-30 minutes. Brush half way through with more marinade. Arrange mushroom slices on dehydrator trays and sprinkle them with more freshly ground pepper or red pepper flakes. Allow to dry for 3 to 4 hours, turning occasionally to dry. Remove when the mushrooms are dry, chewy and still pliable, but not brittle. Store airtight.